For appointments and office hours, sign up here. For students interested in working with Professor Beckwith in POSC396 Senior Capstone Project, see here for further information. 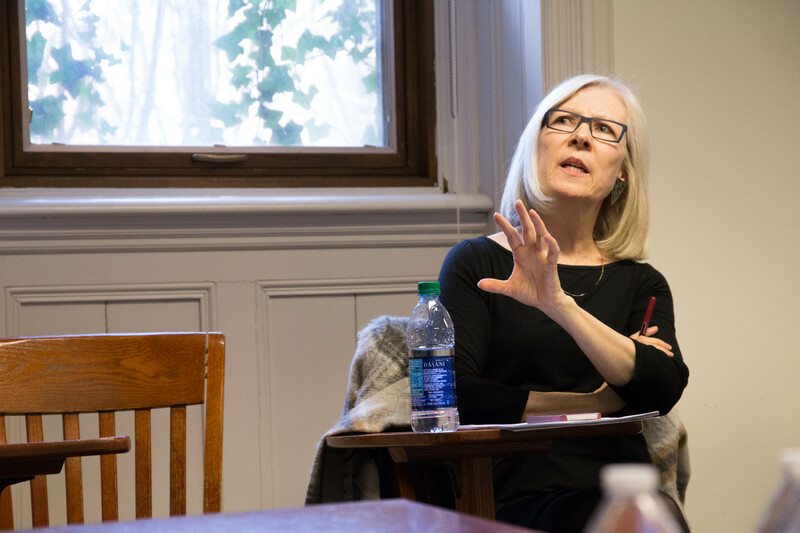 Karen Beckwith is the Flora Stone Mather Professor and Chair of the Department of Political Science at Case Western Reserve University. She received her BA from the University of Kentucky (1972) and her MA and PhD from Syracuse University (1977, 1982). Teaching primarily in the areas of political parties, political movements, and women, gender, and politics, she has special interests in the United States and West Europe. Professor Beckwith’s current research includes a book manuscript, Cabinets, Ministers, and Gender, under review at Cambridge and Oxford University Presses, and projects examining 1) how social movements respond to loss; and 2) how party leadership contests are gendered in parliamentary democracies. Her research has been funded by two American Political Science Association Centennial Grants, the Council for European Studies, the European Consortium for Political Research, the National Endowment for the Humanities, and the National Science Foundation. Professor Beckwith is Lead Editor, with Lisa Baldez (Dartmouth College) and Christina Wolbrecht (University of Notre Dame), of Cambridge Studies in Gender and Politics, a series of books published by Cambridge University Press. She was the founding editor, with Lisa Baldez (Dartmouth College), of Politics & Gender, the journal of the Women and Politics Research Section of the American Political Science Association. Author of numerous scholarly articles, she is the co-editor of Political Women and American Democracy (Cambridge University Press, 2008) and Women’s Movements Facing the Reconfigured State (Cambridge, 2003), and author of American Women and Political Participation (Greenwood Press, 1986). Professor Beckwith serves on the Editorial Boards of the Canadian Journal of Political Science/Revue canadienne de science politique; the European Journal of Politics and Gender, the journal of the European Conference on Politics and Gender; and Politics, Groups, and Identities, a journal of the Western Political Science Association. Professor Beckwith was the Fulbright-Scotland Visiting Professor at the Institute for Advanced Studies in the Humanities at the University of Edinburgh in 2014. In 2013, Professor Beckwith was honored by the Midwest Women’s Caucus for Political Science as the Outstanding Professional Scholar.